Maruti Suzuki showcased “e-SURVIVOR Concept” – EV design concept and working model of next generation Suzuki Hybrid system (HEV) here today. e-SURVIVOR Concept demonstrates Maruti Suzuki’s efforts in the direction of electric mobility and presents an innovative, futuristic vision of Maruti Suzuki. 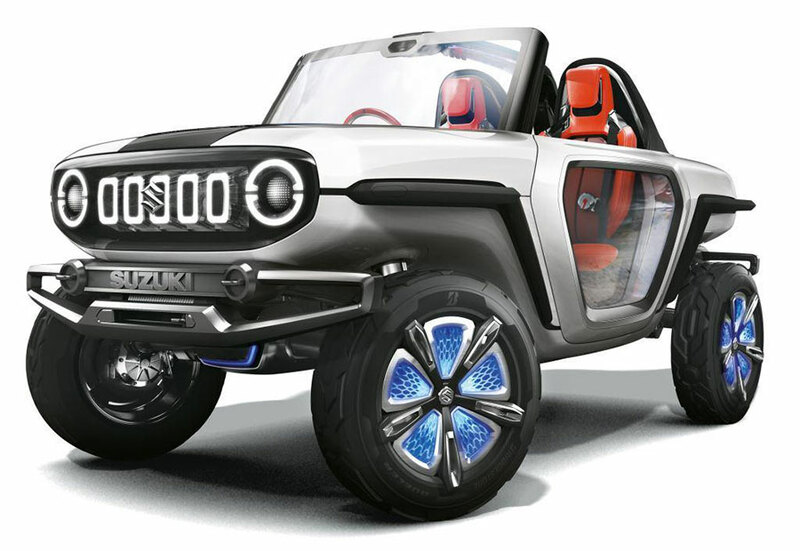 e-SURVIVOR is a design concept for a compact SUV that pays tribute to Suzuki’s proud 4WD heritage. It is aimed to take the excitement of driving to the next level and the fun of Off-Roading ahead of its time, yet relevant to the present. It has been conceptualized with a vision to Empower its customers to Explore the unexplored with Enthralling Experience. In terms of exterior styling, e-SURVIVOR has been styled in a way that fuses near-future flavour with distinctive characteristics of its Suzuki 4WD DNA. e-SURVIVOR has ladder frame and lightweight compact body which helps to achieve outstanding drivability and durability on rugged roads. Combining the high ground-covering capability to take on various roads with the powerful torque and acceleration of an electric vehicle, the e-SURVIVOR succeeds in delivering the driving fun for a new era. It not only carries the Suzuki’s 4WD heritage but also adds new possibilities through its electric four wheel drive. It has got a set of four In-Wheel electric motors that controls the 4 wheels independently. The motors enable fine control of the wheels depending on road or driving conditions. It allows for on-the-spot turning and achieves outstanding mobility – movements that were not possible with conventional 4WDs. Moreover, the e-SURVIVOR is equipped with autonomous driving capabilities. Along with that, it can also be switched to manual mode for off-road driving at any time. This supports safe, fun driving that suits road conditions and the skills or intentions of the driver at any time. A fine blend in which analogue and digital co-exist happily, the e-SURVIVOR is the realistic vehicle of the future. Interior of the vehicle showcases futuristic interface which displays information that promotes safety and provides an enthralling driving experience. It has a spherical monitor on which the vehicle’s status and the road conditions can be checked at a glance. It has a navigation system and a wide monitor for displaying online information and images from vehicle cameras. Smartphones and a variety of other electronic devices can be connected to the vehicle to display information on the topography, nearby vehicles, weather, and more. e-SURVIVOR ensures safety while offering fun in driving and transportation. e-SURVIVOR will stand out, no matter where ever you go. And it will deliver performance, no matter how you use it. In evolving clean solutions for India, Maruti Suzuki will work on an array of xEV technologies to accelerate electrification of powertrains in India. The Suzuki Hybrid system, displayed at the Auto Expo 2018, symbolises an integral part of the Maruti Suzuki vision for the future green mobility. The Maruti Suzuki pavilion showcases a working model of this next generation Suzuki Hybrid system (HEV). High on efficiency and low on emissions, with capability of pure electric drive, this next generation hybrid system offers superior driving performance and acceleration. Suzuki Hybrid system demonstrated here can substantially reduce emissions and fuel consumption for the large part of the automobile market not addressed by EVs. A step up from the current generation hybrid, this working model uses a combination of conventional engine and electric motor to power the wheels, drawing energy from petroleum fuels and Li-ion battery, to provide twin benefits of energy security and emission reduction. 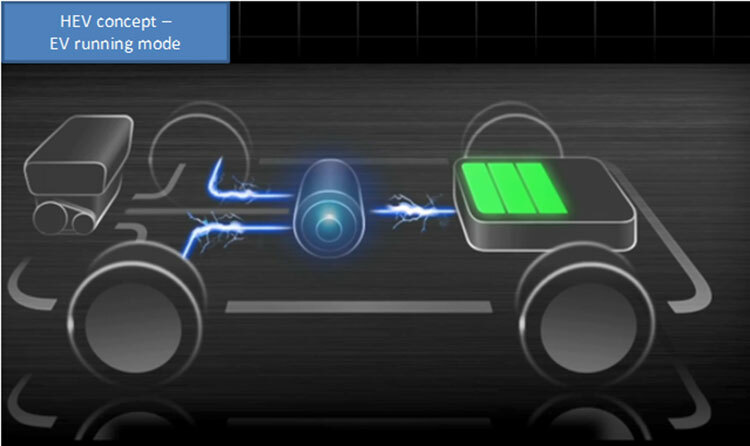 The strong hybrid will perform various function of Idle stop, torque assist, regenerative braking, EV running as a combination, to achieve higher fuel efficiency.